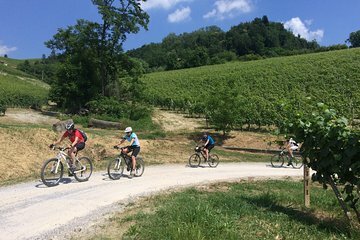 Discover the best of Barolo at your own pace with a 4-hour e-bike rental. A suggested itinerary is provided, but where you go and what you see is entirely up to you. Whatever you decide, a free app is on hand to help you find your way there. Be sure to check out the UNESCO listed Langhe-Roero and Monferrato landscapes. Your rental also includes a free wine tasting at a local wine cellar.